Jakarta. 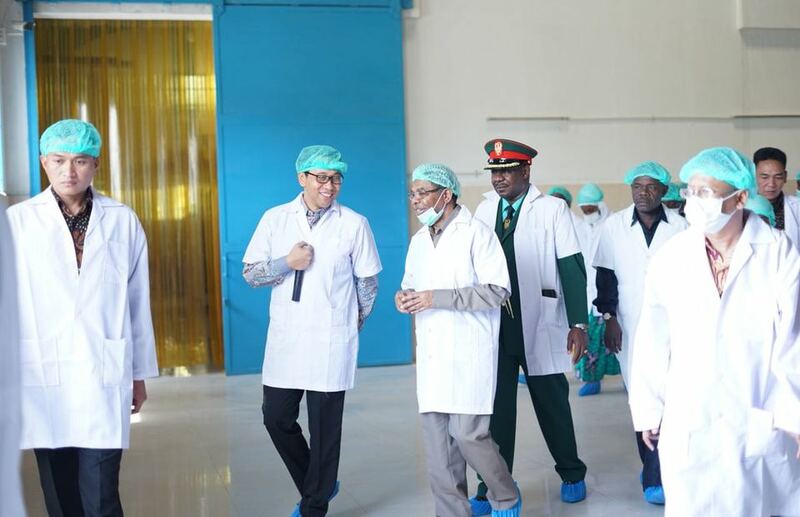 Zanzibar wants to develop its seaweed processing industry with the help of Indonesia, President Ali Mohammed Shein said during a recent visit. On Sunday (05/08), Shein visited seaweed processing factory Agar Swallow in Bogor, West Java. "This visit is very important to develop our seaweed processing industry in Zanzibar," he said, according to a statement issued by Agar Swallow. Improving the industry in Zanzibar, according to Shein, would increase employment and the region's gross domestic product (GDP). Agar Swallow president director, Hendrico Soewardjono said the company is ready to assist Zanzibar. During a meeting with Vice President Jusuf Kalla earlier this week, Shein said Zazibar wants to forge stronger relations with Indonesia and establish cooperation in agriculture and tourism, state news agency Antara reported. Kalla said Indonesia has offered scholarships to improve cooperation in education. Zanzibar is a semi-autonomous region of Tanzania, an archipelago located off the coast of the East African country.